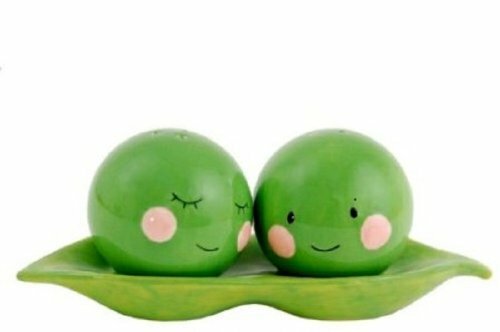 This super cute peas in a pod salt and pepper set is sure to add a little something to any dining table. You are sure to find that family members, friends and other guests notice these right away. The set is made of ceramic and it looks great because each piece is glazed and hand painted. Together the set measures approximately 5 inches by 5 inches by 5 inches. The base of each pea is magnetic because this holds them in place on the pod. 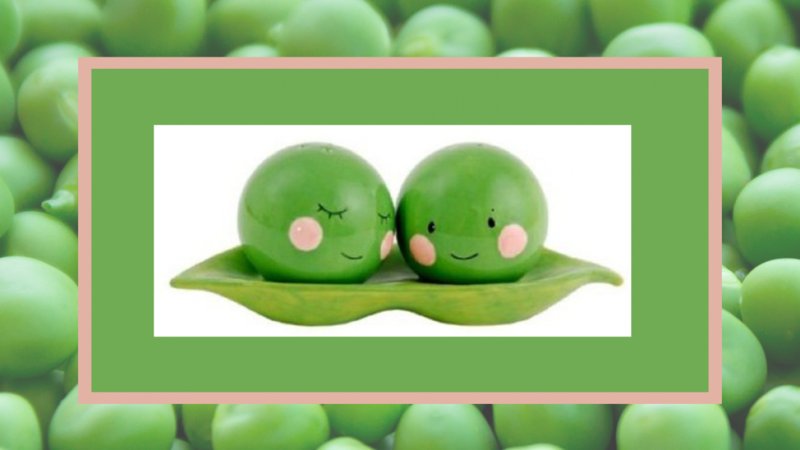 This cute peas in a pod set is perfect for gifting because it come in a lovely box. Anyone who likes unique kitchen and dining ware is sure to adore them. It is easy to use the salt and pepper shakers. Simply fill them with salt and pepper and shake them to season your food in the standard way. To clean them simply hand wash them, rinse and dry. You may not be able to dry the inside of them using a kitchen towel so it's a good idea to let them air dry. It is important to ensure that the inside of the shakers is completely dry before you refill. This is because moisture an cause your salt and pepper to clump inside the shakers. If you like this cute set then you may also like to check out the following.